Play Yatzy Live online for free now! Let the dice roll! Looking for more action and speed when playing Yatzy? 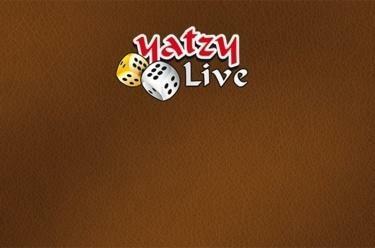 Take the destiny of the dice into your own hands - with Yatzy Live! Our fast dice game enters the next round: When hunting for Full House, Straight and Yatzy 3 jokers will accompany you. Use them skilfully and emerge as a champion! As in regular Yatzy the aim of the game is to roll as many points as possible with 5 dice. Combinations of dice with the same number win - roll as many as possible and keep an eye on special combinations of dice that result in valuable bonus points!